Customer service gives your company an opportunity to build a strong relationship with customers at a critical point. If they’re calling for help, then they’re likely frustrated. How you handle this interaction will set the course for your future relationship, and determine whether you’ll gain or lose a loyal customer. All too often, customers are greeted by “customer service robots.” Everyone’s familiar with this type of representative. They read from a script and don’t deviate. If the solution isn’t in the script, it doesn’t enter into their consideration. Inflexible and unsympathetic customer service is unlikely to build the customer’s trust or establish a relationship that leads to future business. In customer service, as in most relationships, it is the “human touch” that matters. As a small business owner, you may be handling customer service calls yourself. Maybe it’s one more thing on your already overfull plate. If so, you might not be the best person for the job. Yes, you care about your customers and want to help them, but it’s a far wiser use of your time and assets to invest in customer service professionals who specialize in this area (after all, you have a business to run!). Dedicate one or more people to handling your customer service requests full time, and then train them fully. 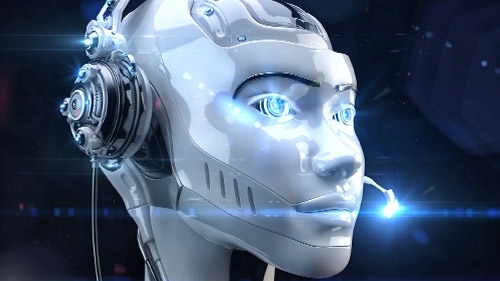 Invest in some high-quality customer service training to keep your staff from becoming “robots,” and make sure there’s adequate support built into your customer service processes to allow for flexibility in dealing with challenges that might arise. Make sure your customer service team knows how to use your customer relationship management (CRM) system, and that the system you use is tailored toward your business’s needs. It’s important for everyone who interacts with the customer (sales, marketing, customer service) to be able to look into past conversations, and a CRM system is a great place to house this information. With Insightly, ChamberofCommerce.com’s top pick for small business CRM, anyone who interacts with a customer can log notes of the conversation. This comes in handy for others on your team when they deal with the same customer. You can also capture what each customer is saying on social media, providing insight into what they’re thinking about your brand. When everyone has the information and tools they need—and the training necessary to solve problems on the fly—your customers (and your business) will reap the benefits. Encourage staff to go off the script. Scratch that: forget the script altogether. If they’re trained properly, they should be able to have a conversation to uncover the issue and solve it. Don’t underestimate casual conversation. “Small talk” has a purpose; it can actually calm the irate customer as the rep searches for a solution to her problem. Savvy representatives can ask about the weather, sports, or whatever seems to resonate with the customer. Have humans answer the phone. You’re not AT&T. There’s no reason a customer should have to push buttons to be transferred to the right person. Live chat tools like Zopim and LiveHelpNow let your customers and prospects get answers and help at their convenience. Look to solutions like Constant Contact, MailChimp, and StreamSend to help make email marketing simple and give you the opportunity to regularly reach out to your customers. Social media sites like Facebook, Twitter and LinkedIn are inexpensive, powerful ways to connect with your customers. Make it right. The customer is, indeed, always right. Empower your team to fix the issue and create a happy customer with flexible and timely resolutions. Every company wants to be known for stellar customer service. Aim to over-deliver every time. Monitor your reps and use performance and response metrics to evaluate results and improve your processes. By keeping your customer support team flexible, informed, and—most importantly—human, you’ll spend less time worrying about unhappy customers and more time growing your business.